When life gives you lemons the best thing to do is make lemonade, when life gives you a corked wine the best thing to do is make wine cork art. After all, the cork and the bottle are about the only things that can be salvaged out of a bad wine. Have you ever wondered what to do with all of those leftover corks accumulated after every empty bottle of red? Corks are handy for a few things-plugging up holes, re-corking a bottle, taking up space in a drawer, building a cork boat to float down the Douro River and maybe covering up that tacky floral wallpaper in the bathroom. We live in age where people have become sensitive to preserving natural resources and not creating unnecessary waste. So, if you ever feel guilty or wasteful about throwing away that Opus One cork, hold on to it, save it, save others and start imagining what other purpose that lonely cork can perform. It is said that beauty is in the eye of the beholder and that can be said about wine cork art as well. Art doesn't have to be beautiful; it can be harsh, unnerving, thoughtful or inspiring. Regardless of the medium employed, art should be an expression that invokes an aesthetic, a concept or emotion. Cork as a medium for artistic expression has never been seen in the New York Metropolitan Museum or the Louvre. Because of these facts, cork art fits more neatly into the category of craft rather than art. Debatable opinion? True, but remember that Michelangelo worked in marble and Van Gogh painted on canvas-never in cork. There are unlimited cork uses and ideas; the only thing that is essential is to apply creativity to your artistic or craft expression. 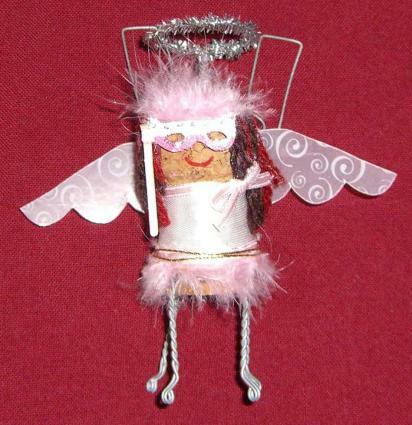 Below are some examples of wine cork art. As a cautionary disclaimer, none of the cork bits and pieces shown can be qualified as high-brow art, then again, the artist or craftsperson working in cork tend to gravitate towards the quirky. Check out Gabriel Wiese's stuffed cork chairs. Definitely not of the sleek and stylish Italian furniture jobs but with 600 to 2500 corks used in each chair, they can probably float. But of course, a coaster for your wineglass. Wreaths to hang on your front door at Christmas are traditionally made from pine boughs. However, there are no laws preventing Christmas wreaths made from cork. 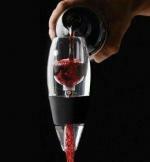 For more gift ideas for the wine lover... watch this slideshow! It's always fun to make one's own ornaments. These reindeer ornaments won't be pulling Santa around but have their own charm. Cork serving trays can be made as a kit with decorative handles and a plexiglas bottom, just add your corks. Actually, cork makes good material for trivets. They are soft, thick, and won't scratch a counter or tables service when you place a hot pot on it. You can make your own or save yourself the trouble and buy a ready-made trivet. Some people just want to show off their corks a display rack makes a good presentation platform. No kidding, a rug. Laugh if you want but you won't have to care about stains if you spill a glass of Syrah. Here's a clever way to put a roof over a sparrow. So what makes your boat float? Ask Garth Goldstein what type of boat he used to float down the Douro River. One trend that can unplug wine cork art are screwcap bottles. Somehow a chair made out of screwcaps would not be very comfortable.